If You Leave Brie, Can I Come Too? I’m an expat and have been for some time now. It doesn’t define me as such, but it’s an important part of my life and will be for a long time. There are some great things about being an expat – no tax, travel, decent wages. But the downsides are homesickness, frustration with bureaucracy….and seeing important people in your life leave. It happens, in expat land, nothing is forever. We are all guests in our country and as always, there will be another opportunity in another country. The thing about expat friendships and relationships is that they develop fast and strong, kind of like the uncertainty of our lives fuels them. The anxiety for those remaining lies in whether things will remain the same, whether the bonds will be as strong, will I be lonely? Who knows until it happens? 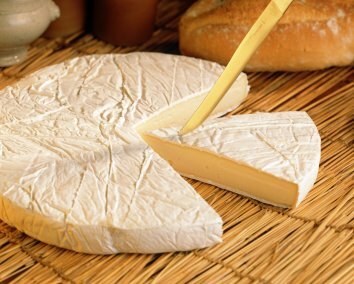 If you are waiting for the segue into Brie, it’s tenuous. I was feeling sorry for myself this week and bought a wedge of Brie De Meaux at Jones the Grocer. Some people impulse buy shoes, I impulse buy cheese. Legend has it that French emperor Charlemagne was a huge fan and would get an annual delivery. It’s a real wallowing cheese too – you can’t just have one piece. The perfect antidote to some white girl anxieties.